Walking into Wolverhampton’s bustling Refugee and Migrant Centre we help a young woman up the stairs who’s struggling with a toddler and his pram. The initial waiting room is crammed full of people, all races and all ages, as they’re seen to one by one. Sitting in on one of the Centre’s ‘English Speakers of Other Languages’ (ESOL) classes, you can see the enjoyment that the participants get from learning. “Before I came to this country, I had no English, all I knew was some words, A B C, hello! “It’s hard because in my country we don’t speak English, I want to speak good because conversation with people is good, and I like to talk! “There is war in my country, it is not safe. Here is safe. 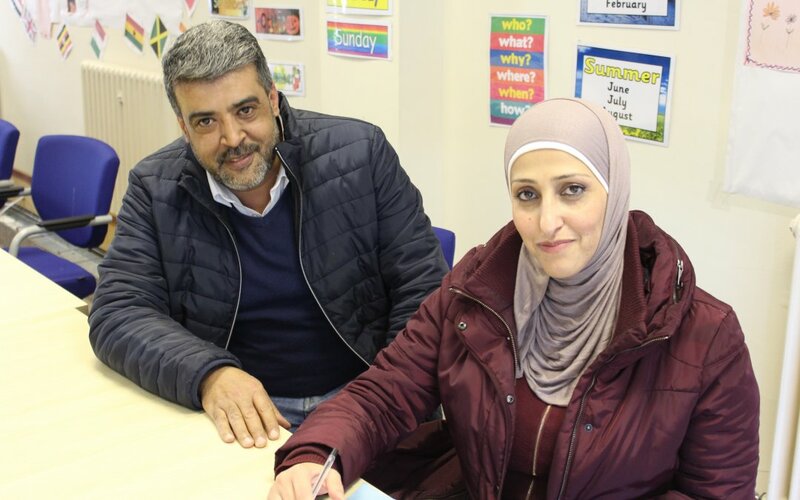 “In Syria my children didn’t go to school and they had to stay in the home and don’t learn anything but in the UK my daughter goes to school, and my son goes to college. “Me and my husband are both studying and after I learn more English, I would like to go to university and study Adult Education. “My daughter and son like medicine but they need more support for learning. Last year my daughter did her GCSEs, her marks were good in English and Maths but Science she needs more because the words are very difficult! “The biggest barrier is language. We get doctors, dentists, accountants and lawyers from Syria and it breaks people, they get here, and they realise they’re nothing. “The BBO project itself is really good, it’s given organisations, like us, the capacity to deal with some of the most vulnerable people in our areas. The BBO project has received £129,000 of funding from the Big Lottery Fund and the European Social Fund as part of the 2014-2020 European Structural and Investment Funds Growth Programme in England. The Department for Work and Pensions is the Managing Authority for the England European Social Fund programme. Established by the European Union, the European Social Fund helps local areas stimulate their economic development by investing in projects which will support skills development, employment and job creation, social inclusion and local community regenerations. For more information visit https://www.gov.uk/european-growth-funding.